(2) Reinforcement in reinforced concrete is usually steel bars, wires, or welded wire fabric. It may also be structural fiber of some other material. (2) In Tekla Structures, reinforced concrete is modeled with reinforcement objects. stair (95), chamfers are now correctly changed when modified. arrow symbol now correctly follows the bar direction. Previously, when you modified the bar direction by dragging the arrow symbol handles, only the bar direction changed, but the arrow symbol returned to its original position. stair (95), when stringers are not created, the options for defining the stringers are now dimmed. stair (95), the default stringer material is now Concrete_Undefined. stair (95), it is now possible to set the bending of the reinforcement on the Bar E tab. stair (95), there is now a new bar H geometry option on the Bar H tab. stair (95), it is now possible to set the shape of the top reinforcement on the Bar D tab. In Border rebar (92) and Border rebar for single edge (93), when you do not define the rebar part prefix in the Serie option on the Advanced tab, the prefix is now empty in the rebar properties. In Beam reinforcement (63), Bar end cover now works correctly for beams that have an L-profile. panel reinforcement, all reinforcing bars are now correctly attached to the cast unit. bars by area, bars are again created only to the area defined by the polygon input. bars by area, when modifying the polygon area around cuts, the bars are again cut correctly. In Embedded anchors (8), the bending radius of rebar A and rebar B now works correctly. 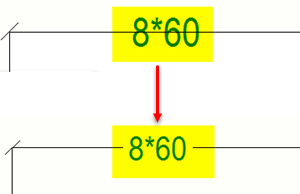 In Rectangular column reinforcement (83), intermediate links do not clash with side bars anymore. In Concrete stairs (65), modifying the step inner chamfer radius now works correctly. In Concrete beam-beam (112), the Parameters tab now has an option for perpendicular cuts on the underside of the beam. In Concrete console (110), the angle cut is now correct when the beam is created using offsets. In Concrete console (110), when defining on the Picture tab how the shape of the secondary beam is modified, you can now select to cut the column perpendicular to the secondary beam. Pad footing usually supports one column. reinforcement (77), the rebar length is now correct when creating straight rebars. In Stub connection (119), it is now possible to define the top and bottom offset of the top and bottom plates. to either Cast in place or Precast. (84), the top and bottom connection edge offsets are now used correctly in all situations. is not changed anymore when the connection is modified. parts correctly. Previously, the custom component for the bottom connection was not correctly created, and when a custom component was created at a bend, then both (top and bottom) connections were created incorrectly. to wall connection has been changed to work correctly when the wall is shorter than 4 times the thickness. generation (32), modifying the component by adding roundings to hole corners now works correctly. In Rectangular column reinforcement (83), you can now create stirrups as a spiral group. In Concrete stairs (65), there was previously a solid error when the bottom stair length was smaller than 41 mm. This has now been fixed. stair (95), you can now define an additional step chamfer on the Parts tab. In Floor layout, the new Default offsets tab contains the default offsets for each layer. These default offsets will be used whenever a specific value is not given for the edge. In Two sided seating with dowel (76), the Right dowel settings are now dimmed correctly on the Dowel tab. Battering connection (13) now works reliably with L profiles. diameter no longer affects the position of cast plates. (1047), the vertical offset for bolts now works correctly. Rail connection (70) now works correctly after using the Copy special - Rotate and Copy special - Mirror commands. is now correctly created in all situations. In Tube crossing (22), chamfered connection plates are now correctly positioned in all situations. In Splice type 1 (56), the bolts now have a default tolerance of 2.0 mm in the UK environment. around part (92), it is now possible to create exact holes around circular sections. (65), it is now possible to create the bottom stiffeners as one plate. In Full depth (184) and Full depth S (185), some cuts were previously not created correctly. This has now been fixed. (48), you can now set the bolt standard for secondary bolts on the Bolts tab. simple (146), the correct number of bolts is now created when using plate washers. Stub (133) now works when the height of the secondary beam is greater than 1500 mm. (102), weld number 6 is now positioned correctly. for one or two secondary beams now works better than before. When using one secondary beam, Tekla Structures no longer crashes. plates are now positioned correctly as defined. Also, bolts, anchor rods and custom components are now positioned correctly. (1042), weld number 2 is now created correctly in all situations. In Column splice (132), the web and flange bolts are now created with the bolt standard set in the component properties dialog box. and Washer plates on the Parts tab. In Z pan (S74), a correct number of nose plates is now created in the correct position. The welding on the steps is now also correctly created. (143), the assembly of the bolted parts is now in the correct order. (1065), you can now enter multiple values for bolt spacing, and define the top and bottom edge distance for bolts. In Spiral stair (S68), the number of turns is now correct with both the clockwise and counter clockwise setting. The positions of inner toe profiles are now also correct with the clockwise setting. offset no longer affects the position of horizontal stiffeners. (143), the bolts on the clip angles are no longer missing. (117), the correct number of bolts is now created. In Stair base detail (1043), you can now set on the Sbolts tab in which parts the slotted holes are created. option on the Parameters tab now has a new value, Fit to stanchion. simple (146), the plate washer width and top flange cutback are now applied correctly as defined in the component properties. connection (71), and entered a space after a position, Tekla Structures stopped working. This does not happen anymore. Flange plates are used in moment connections, for example. is now created in the correct position when the main beam is made of plates. is now cut parallel to the main beam web as set in the beam web cut option. in the Name box on the Parts tab. (142), the bolt vertical edge distances now work correctly when using safety connections. In Joist to column, type 1 (161), the stabilizer bolts now go through the column flange and beam bottom flange when the offsets are defined. (142), the safety connections now work correctly when end plates are extended above or below the secondary parts flanges. (11), it is now possible to create a chamfer on a gusset when using twin profiles. (1004), you can now use custom components for anchor rods. (1014), weld number 4 is now created in the correct position. (49), the positions and sizes of the web and flange chamfers are now correct. bolt connection and for bracing connections. For bracing connections, it is possible to define slotted holes separately for the connection plates and L profiles. simple (146), the angle box profile is now created using the material defined on the Angle box tab. options when using plate washers. (143), the bolts are now correctly rotated on the angle box. is now positioned correctly when using a chamfered brace connection plate. The chamfers are now created correctly in the brace connection plate. The boxes for chamfer values are now unavailable when chamfers cannot be created in the brace connection plate. (S63), imperial units are now shown correctly in the component properties dialog box. In bolted connections, clearance is required for entering and tightening the bolts with an impact wrench. In addition to this, there may be a clearance for a fillet. In welded connections, clearances are required in order to allow a welder to lay a correct weld. Reinforcing bar clearance defines the minimum clearance or the allowed overlap for reinforcing bars when they are checked against other objects. 's bottom chord now works correctly when the secondary part is sloped or skewed. In Spiral stair (S68), the highest step is now in the correct position, and the step outer radius is used in all cases. (143), the Same bolt length for all option now works correctly. In Clip angle (141) and Two sided clip angle (143), the default attachment type option on the Bolts tab now matches the result in the model. was 40 or over, the holes were not created correctly. (196), Base plate (1042) and U.S. Base plate (1047), staggered bolt types are no longer mixed. (1069), deleting of bolts now works in all situations. washers are placed symmetrically or asymmetrically. In Splice connection (77), it is now possible to create external flange spacer plates when the rotation of beams is set to Top or Below in beam properties. In Seating (39), the welds are now in the correct positions when column and beam webs are perpendicular to each other. In Full depth S (185), the cuts are now created correctly. In Stringer to channel (127), the option to set the angle position on the Parameters tab now works correctly. 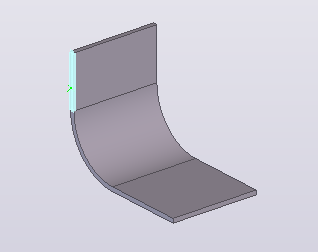 (1014), the stiffeners are now created with the correct chamfer dimensions. 2 (62), it is now possible to control the main web bolts on the Primary web bolts tab and the secondary web bolts on the Secondary web bolts tab. Flange bolts can be controlled on the Primary flange bolts tab and on the Secondary flange bolts tab. You can separately define the settings for the bolt structure, slotted holes and extra length. (1066), the bolt edge distance now works correctly. - Cfl (112), it is now possible to define the material and the name separately for the end plates and the compensating plates. In 2L splice (152), the slotted holes for the secondary bolts are now positioned correctly. In Full depth S (185), some cuts were previously not created correctly. This has now been fixed. is skewed, and the haunch is made from a profile. In Welded to top flange (147), the positions of the top and the bottom weld backing bars are now correct. prefixes and materials now work correctly as defined in the connection properties. height now works correctly as defined in the connection properties. options separately for main and secondary web bolts, and also main and secondary flange bolts. _ATTR property now works correctly. Previously, you could deactivate the selected command by clicking it so that none of the commands was selected. The property template is saved in an .xml file or in the Organizer database. , when you had a category with a filter that referred to a Project category to use the Project category content, and you changed the object content of the Project category, only the second Organizer synchronization updated the object content of the category using the filter. This has now been fixed. for the export to Excel. The Update object properties from model option in the Export data to Excel dialog box is by default selected. not to open. This has now been fixed. It is possible to lock model objects, reference models, and drawings, for example. the selected tasks. Previously, only the selected tasks were locked. , the value in the Quantity column in the Task manager table is now correctly shown as 0,0.
, the subtasks of the selected task are also updated. , it was previously possible to delete tasks that were locked. This has now changed. Locked tasks cannot be deleted. at one go. Previously, you could only export one shape at a time. dialog box, use Ctrl or Shift to select multiple shapes, and then click Export. Tekla Structures saves the shapes in the selected destination folder as .tsc files. Tekla Structures creates a separate file for each shape using the shape name as the file name. Export EliPlan (68) now also works when you use the Polish Tekla Structures interface. In the BVBS export, the total number of bars is now correct also when using the option Reinforcement of selected cast units and selecting multiple parts of a multi-part cast unit. Note that the total counts were correct if the cast unit only contained one part or the Select assemblies selection switch was used. parts with L-shaped arbitrary profile are now correctly positioned after conversion even if their initial profile was defined in a rotated position. Pop-marks for plates with holes were created incorrectly in NC files. This has now been fixed. In BVBS export, the format of the exported files was not fully compatible with the BVBS convention in exported round or curved rebar groups. was offset incorrectly. This has now been fixed. beams with arbitrary profiles were sometimes converted to incorrect position if the profile had been recognized as parametric. This has now been fixed. Plate side mark can be found on the dimension extension line. side marks were not enabled. This does not happen anymore. When you selected the option Both side holes as the Pop-mark location, some pop-marks were missing. This has now been fixed. is now shown in the part inquiry report. The TS_Report_Inquire_Part.rpt has been updated to include Class. name and symbol number in the configuration file RebarCoupler.Symbols.dat. If the symbol file name is not given, the default file (CouplerSymbols.sym) will be used. See more details in sample files included in the environments. .DIAMETER now works correctly in mark templates. dimensions in the Inquire dialog box and templates in drawings were showing three dimensional measures instead of unfolding dimensions. This has now been fixed. , when you inserted a picture that was bigger than the height of the component, then Template Editor crashed. This has now been fixed. > Templates and Symbols. The default value is FALSE. , you now get the phase of the rebar instead of the cast unit part phase. The check box for Maximum distance in the Mark placing dialog box now works correctly. property dialog box has been improved. Now opening the dialog takes roughly around 35% less time. In drawings, in certain situations, hidden lines were drawn incorrectly for objects behind non-solid items. In dimensioning type Integrated dimensions, re-dimensioning a view in an unfolded drawing would lead to incorrect dimensions unrelated to the unfolded shape. This now produces the same dimensions as when creating an unfolded drawing. unfolding drawings, when a bending line is skewed, both ends of the bending line are dimensioned on both X and Y axis, in order to get all the needed dimensions. Duplicate grids could leak to the drawing database, causing performance issues. This has now been fixed. labels are now shown correctly on all sides of the grid. 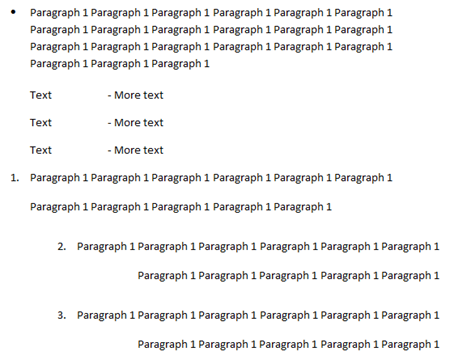 Rich text file (.rtf) texts now support line spacing and spacing after paragraph. The individual drawings in a multidrawing may be of any drawing type. views no longer overlap with templates. error when you used free placement. This has now been fixed. Dual dimensios are now placed correctly on automatically created dimension lines when adding or removing dimension points. 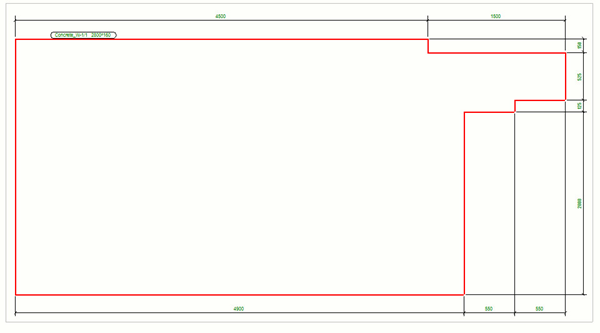 Drawing view frame can be used when modifying properties of a single drawing view. 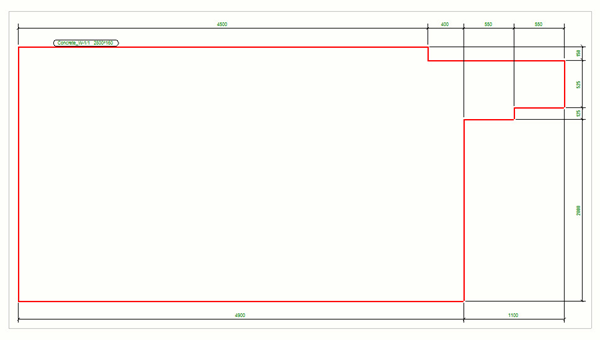 Drawing views can be dragged using the drawing view frame. When you combine more than one set of lines with the Combine command, lines no longer disappear. Marks containing templates were not working correctly in multidrawings. This has now been fixed. An object can no longer be combined to itself. The Combine command no longer creates arc symbols in polygons. Rebar marks for rebar meshes that use the Outline presentation option were not always placed correctly. This has now been fixed. rotation value was not applied if you changed it on the view level. This has now been fixed. Hatches are now drawn more accurately. Keyboard shortcuts Space (end a command) and Backspace (undo the latest pick) are now working when you are creating a polygon or a polyline in a drawing. The term surface treatment is used in concrete detailing. For concrete parts surface treatment includes surface mixes, tiles, and flat finishes, such as troweling and sandblasting. The term surface finish is used in steel detailing. For steel parts surface finishes include fire-proofing and unpainted areas. was not shown correctly in drawing section views. This has now been fixed. The Save button now works in the Drawing export layers dialog box. content was duplicated when the mark was on the left side and the advanced option XS_AISC_WELD_MARK was set to TRUE. This has now been fixed. for merged reinforcement marks is now kept in the correct location.
. The numerical value was correct. This has now been fixed. dimensions for horizontal bends were not created at all, or were created on horizontal dimensions. Now this has been fixed and horizontal bend information is shown in vertical dimensions. was not visible on the modeling side. This has now been fixed. The reference points follow the model object if it is moved. They are only deleted if the related model object is deleted. Reference points can be selected as snap points in a snap switch. properties on drawing level in single part drawings is now working properly. When you tried to export a drawing into a DWG file, a warning message appeared. This has now been fixed. , drawing update was removing all dimensions from section views. In cloning, the section views did not get any dimensions. This has now been fixed. were missing from drawings. This has now been fixed. One building object can have several associative notes. change symbols are again rotated correctly. The hatch parameter Automatic is now correctly read from the .htc schema files. In the Print drawings dialog box, the paper size now appears immediately when you have loaded a settings file. Cover-up lines are now shown better in printouts. Outlines of graphical objects in drawings, such as circles and polygons, are now shown better when plotted. stair (95): The cast-unit drawings are now oriented correctly. Objects that are filtered out are no longer dimensioned when you create a drawing using dimensioning type Integrated dimensioning. Cast unit drawings are generally used either at the element factory or at the construction site. no longer closes all property dialog boxes. properties dialog box, modifications to the currently open panel were lost whenever a new panel was selected for the first time from the options tree. This has now been fixed. When you use dimensioning type Shape dimensions, dimensions are now placed to the free side of an object. Previously, they were always placed to the nearest side, which in some cases resulted dimension lines crossing the object itself.
. Previously, the lines were sometimes too short. The dimension middle tag now shows all groups that the dimension points to. A hidden advanced option XS_DIMENSION_MARK_CREATE_MIDDLE_TAG_ALWAYS will switch this off if it is set to FALSE. Reinforcement was not shown right away in assembly drawings, but only after modifying the view. This has now been fixed. When you use view-level dimensioning and dimensioning type Integrated dimensions, the dimension properties for angle dimensions are now also applied to automatically created radius dimensions. Drawing views were not always showing rebars outside the concrete completely. This has now been fixed. , the bending angle and radius texts disappeared. This has now been fixed. extrema, it was not visible. This has now been fixed. You can now change the location of radial dimensions . that contained detail marks, everything else in the view was rotated, but the detail marks stayed in their original position. This has now been fixed. Previously, sharing file exclusion settings incorrectly allowed files in \datastorage\sessionfiles to be shared. This has now been fixed. , read in changes were not shown if there were user-defined attributes with duplicate names in the model. This has now been fixed. to Check for standard parts with any other option than Compare to old caused inconsistent numbering data that resulted in incorrect refreshes during model sharing. This has now been fixed. Parts that match standard parts now function as if set to Compare to old. All sharing scenarios with sketched profiles are handled now, whether remote or local change of the profile definition. profile changes (shared through .lis files) are also handled in read in. The AutomaticSplicingTool cannot be used for splitting and splicing rebars sets. Rebar groups with only one bar were not always working correctly. This has now been fixed. pattern command. This has now been fixed. usage, main bar/tie or stirrup, in the Select reinforcing bar dialog box, the hook properties are now updated correctly in the Reinforcing bar properties dialog box also in the case only the length value is different. of multiple assemblies, the view was empty. This has now been fixed. now works correctly also with bent plates. arrowheads was sometimes difficult. This has now been fixed. and then exploded it, the parts might be moved to incorrect places. This has now been fixed. category. Use this user-specific advanced option to show or hide fillet edges in model views. Reopen the model to activate a new value. might break when the component was modified. This has now been fixed. In cases like this, the resulting bent plate no longer belongs to the component and it gets a different identifier. It is again possible to have contour plates which have a smaller than 1.5 mm distance between the corner points. Previously, Tekla Structures stopped working in some cases when importing profiles. This has now been fixed. In some rare cases, some failures in connections could cause problems in editing the model. This has now been fixed. Steel curved beams can be created by picking three points, where a point between the start point and the end point defines the arc. Both steel and concrete curved beams can be created by adjusting radius in beam properties or by using polybeams. properties, modifying other part properties made the curved beams straight. This has now been fixed. The tile pattern is now always shown after changing the surface type. color is now correctly shown as selected in the surface treatment properties when changing the surface type. are always straight when unfolded along neutral line. command. This has now been fixed. The command ends once you have used it. Previously, Tekla Structures stopped working when you changed the material of bent plates from steel to concrete. This has now been fixed. View filter chooses objects according to object properties. The user can filter objects according to their profile or material, for example. caused a crash if template attributes were added in the filter. This has now been fixed. could be erroneously rotated. This has now been fixed. button redraws the objects transparently, as it should. Copying and rotating sometimes made a part appear as disappeared from the model, because it was displayed with dashed outlines. This has now been fixed. Autosave now works correctly in the Project viewer configuration. For example, reinforcement and surface treatment automatically adapt to the changes made to the part they are linked with. setting Fixed, Relative, Default, or Off was not initialized properly if the Select on right-click option was not switched on in File menu > Settings. This has now been fixed. When you clicked the Pick button in the Copy - Linear or Move - Linear dialog box, the values for dX, dY, dZ were restored to the latest saved state. This has now been fixed. Surface objects are not deleted anymore when repairing the model. caused Tekla Structures 2016i SP1 to crash. This has now been fixed. In previous versions, Tekla Structures failed to load attribute files for macros and plug-ins. This has now been fixed. You can create a new model to a network drive again. Previously, the Tekla Structures extension manager was not always opened correctly when opening downloaded .tsep files. Instead, there was an error message about a missing TsepFileDispatcher version. This happened if a Tekla Structures version had been removed but registry entries for it still existed. This has now been corrected. Previously, there was an error when you selected a component in the Select component dialog box after you had closed the dialog box of the parent component. Layout manager enables the use of accurate model point and line data on the construction site. , the 32-bit related options have been removed from the Export and Import commands. , the Select component dialog box now shows group descriptions. Previously, the descriptions of groups were empty. Extensions (.tsep) are now installed when you restart Tekla Structures. Previously, some extensions were not installed but instead these extensions remained in the installation queue and the installer tried to install them each time you restarted Tekla Structures. The image file can be located in the same folder where the exe file is located, or in the standard Tekla Structures bitmaps folder. If no thumbnail image file is found, then the first image resource compiled into the exe file is used, if one exists. , you can now use .png files for the default thumbnail image of macros (.cs). Note that if there is a .bmp file, the catalog uses that file instead of the .png file. can now read published group files (*.ac.xml) from the \model\attributes folder. with Save as. This has now been fixed. Some customized components or macros may be missing from the Ribbon after migrating due to major changes in the Ribbon customization methods. Users need to re-add them manually.